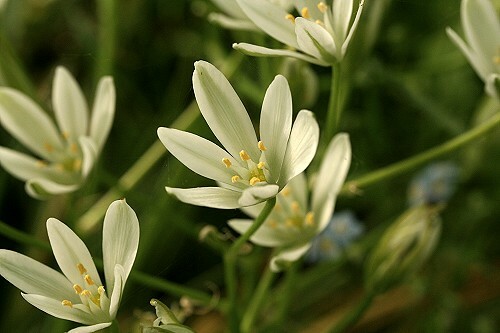 Star of Bethlehem grows in large clumps from bulbs which have a distinctive onion smell. 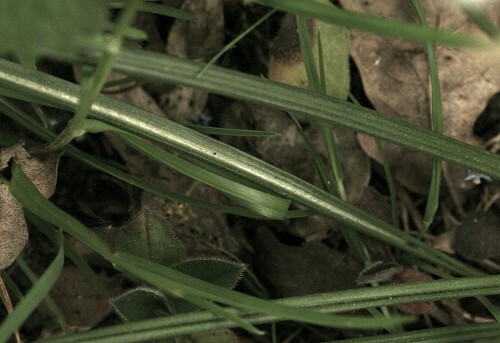 The leaves are long and narrow with a white stripe down the middle. 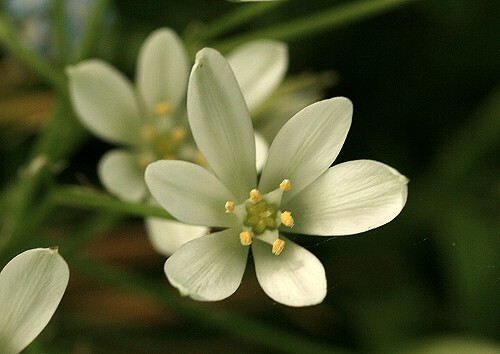 The white flowers are star-shaped and grow in a cluster at the end of the stalk. Each has six petals. This is not a native plant to the UK but is often grown in gardens, from where it often escapes. This was not planted in my garden but was probably carried here by an animal or bird.